Interested in meeting and pitching to early-stage Angel Investors and Venture Capitalists in Southern California? 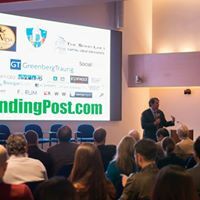 Register for the FundingPost event on Wednesday, March 27th, 2019. 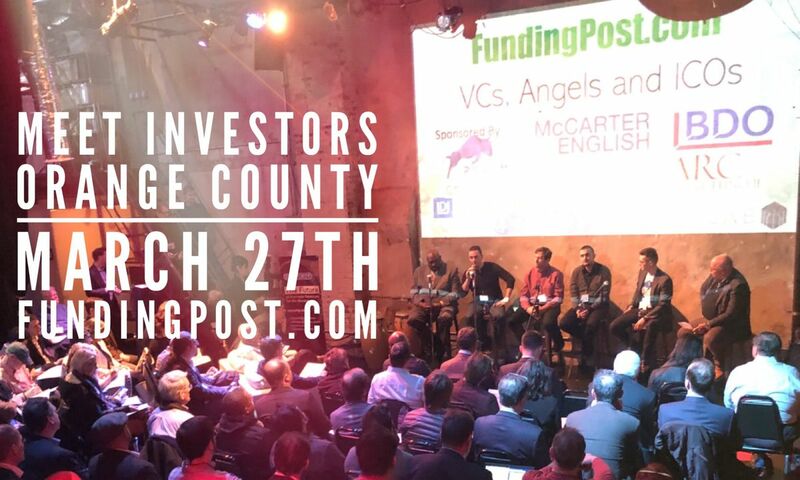 FundingPost has hosted 400 sold-out venture events in 22 cities over the past 18 years.At our next event, the panel of Investors will focus on Early-Stage Venture Investing: How to meet investors, pitch them, and what it really takes to get them to write you a check! We will be discussing trends in Early-Stage Investing, hot sectors, sectors that these Angels and VCs look at, things that are most important to them when they are considering an Investment, the best and worst things an entrepreneur can do to get their attention, additional advice for entrepreneurs, and, of course, the best ways to reach these and other Investors. There will be plenty of time for networking with the Investor panelists, both before the panel and after the panel at the Cocktail Party! Interested in pitching? 15 will be selected for a 60-second fast pitch to the panel of Investors. The Investors will vote and the winner will get meetings with the Investors. We will have a sign up sheet at the registration table. Exhibitor passes include: - 3 tickets - Table top to display product / service - 4-minute speaking slot at the end of the normal 60- second pitches. 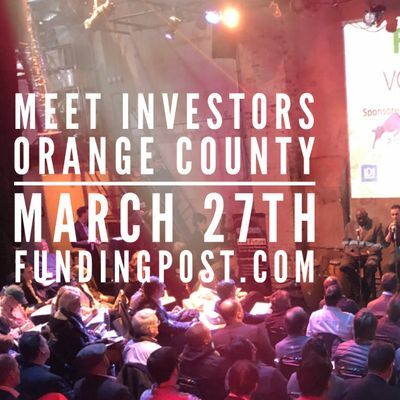 Register today, because this event will sell out and seating is limited!Location: WeWork The Boardwalk, 18575 Jamboree Road Irvine, CA 92612Date: Wednesday, March 27, 2019Time: 5:30pm-8:30pmCost:- Entrepreneur: $55- Investor / Service Provider: $65- Exhibitor: $400Speakers:Moderator: Joe Daniels, McCarter & EnglishDavid Friedman, Vice President, Tech Coast Angels OCDean Kline, Managing Director, Penn Venture PartnersKevin Park, Angel InvestorJJ Richa, Tech Coast Angels, Angel InvestorKat Utecht, Managing Partner, Core Innovation CapitalMORE INVESTORS TBA!